This enormous 19th-century neo-Norman castle sits between Snowdonia and the Menai Strait. It is crammed with fascinating items, such as a one-ton slate bed made for Queen Victoria, elaborate carvings, plasterwork and mock-Norman furniture, in addition it has an outstanding collection of paintings. At this time of year the castle is transformed in a Victorian Christmas. The restored kitchens were unfortunately unavailable for viewing due to maintenance work. The children were shot back in time to learn how to make some Victorian Christmas crafts. The grounds also include an exotic tree and shrub collection as well as a Victorian walled garden. 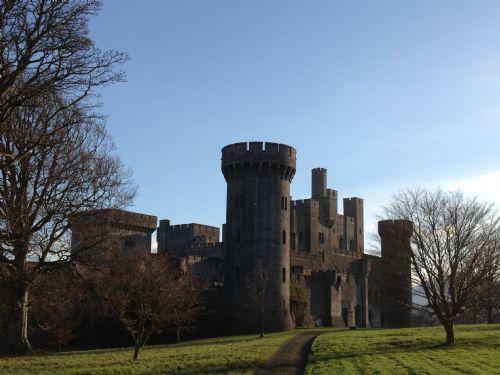 The children were able to explore and enjoy the beautiful scenery before being taken to see 'Lady Penrhyn'. The day was rich with information and activities. The day proved to be a fascinating day for all. Check out the pictures to see how we got on.